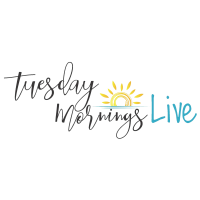 Tuesday Mornings LIVE is a new morning networking opportunity that combines Coffee, Networking and Social Media. On the 4th Tuesday of each month from 7:30 a.m. to 8:30 a.m. you’re invited to join us at a host business. After the host introduces themselves, each individual attending will have an opportunity to share what is new with their business, an event, or anything they would like to promote. You won’t just be sharing with the group in the room; you’ll be sharing with all of social media! The event will be broadcast LIVE on the Chamber Facebook page where it can be viewed and shared by over 5,000 of our followers. The next Tuesday Mornings LIVE will be Tuesday, February 26 at Phelps County Historical Society, 3rd & Rolla St. (Old Courthouse) at 7:30 a.m. We plan to go live around 7:45 and we encourage you to come prepared with your 30 second elevator pitch.